Do you remember a sweet refreshing peppermint flavor? So, Halo Cigs as one of America’s most popular vaping product companies is glad to introduce you an amazing Halo Kringle’s Curse e-juice. It is a winner of a Spinfuel Choice Award. You might feel a wonderful peppermint flavor with no underlying tobacco taste. Most vapers compare it to a candy cane. On the inhale, you get a subtle burst of peppermint with undertones of sweet candy. The throat hit is cool and minty and not overpowering like some menthol e-juices. The exhale is where you really get the most flavors. You can feel the combination of flavors, which create a refreshing peppermint candy. It’s very smooth. Kringle’s Curse e-juice is for the vapers who seeking a more intense flavor than traditional menthol blends, and for those who like sweet flavors. 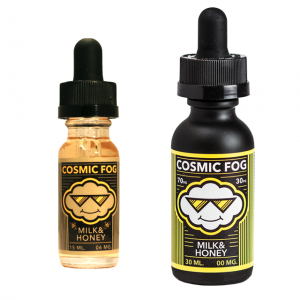 So, if you are the dessert flavor lovers, as well as the menthol flavor lovers, then Halo Kringle’s Curse e-juice is special for you. Besides, it comes in a 30ml stylish bottle with a child-resistant cap. The dropper size is perfect, small enough to make it easy to fill your tank. 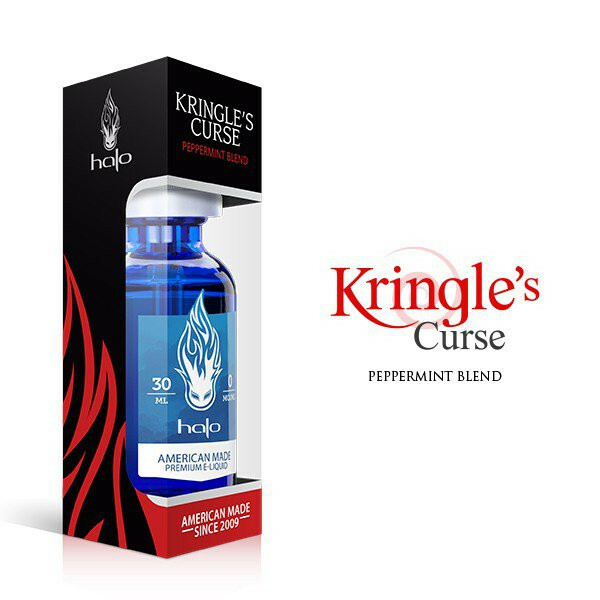 Kringle’s Curse is available in a various level of nicotine strength from 0 to 24mg. You can select the standard 50VG/50PG ratio and 70VG/30PG ratio blend.When you purchase Kringle’s Curse, you’re getting premium American-made e-liquid designed to exceed industry standards for quality, safety, and flavor. So, check it out and you will absolutely love Kringle’s Curse e-juice by Halo Cigs!